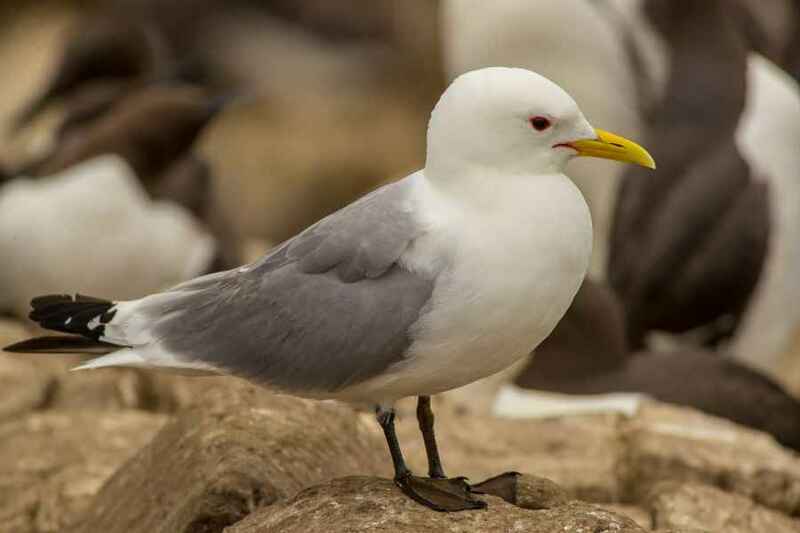 Seen on winter pelagics in the southern half of the country, but with breeding records near Ericeira in the northern half, the Kittiwake is a not the smallest gull we have here but is noticeable for its "neat and clean" appearance. 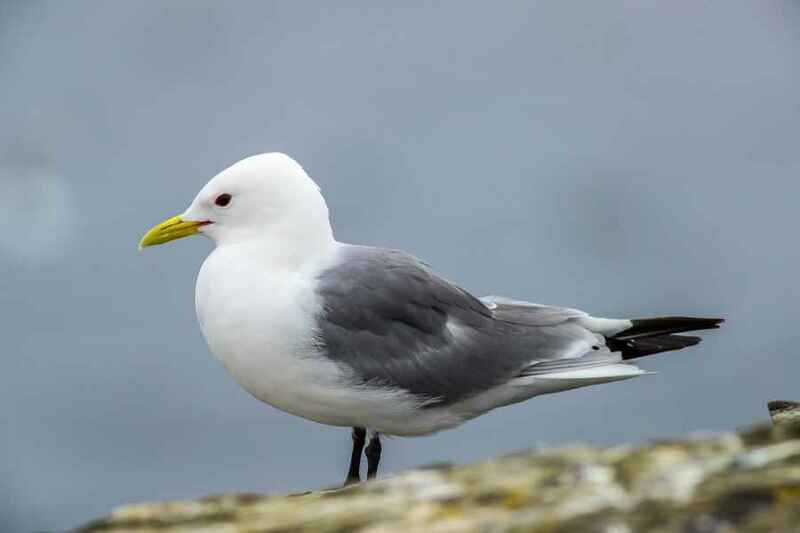 It can be mistaken in its winter plumage for a Black-headed Gull, but the beak is either dark, (juvenile), or greenish-yellow, (adult), which is normally noticeable even at long range. 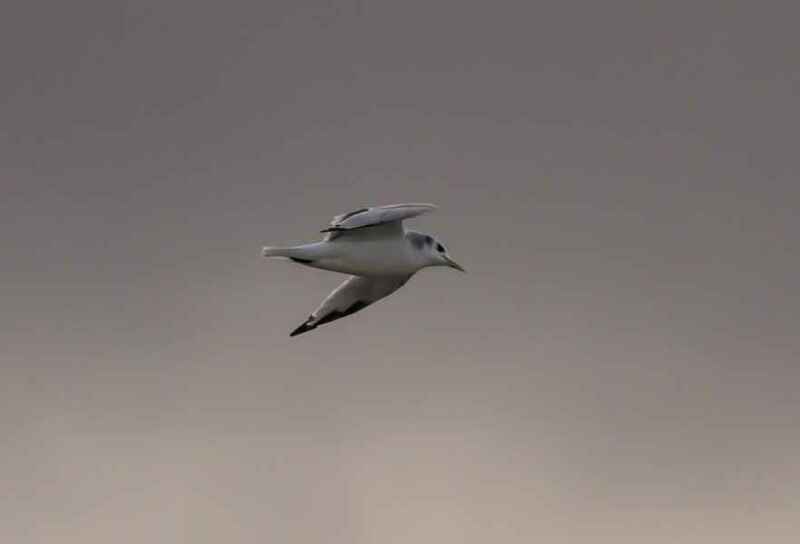 It can also be mistaken for a Little Gull, especially when juvenile, but the upper-wing is markedly whiter, while the back has no markings at all - as opposed to the latter. 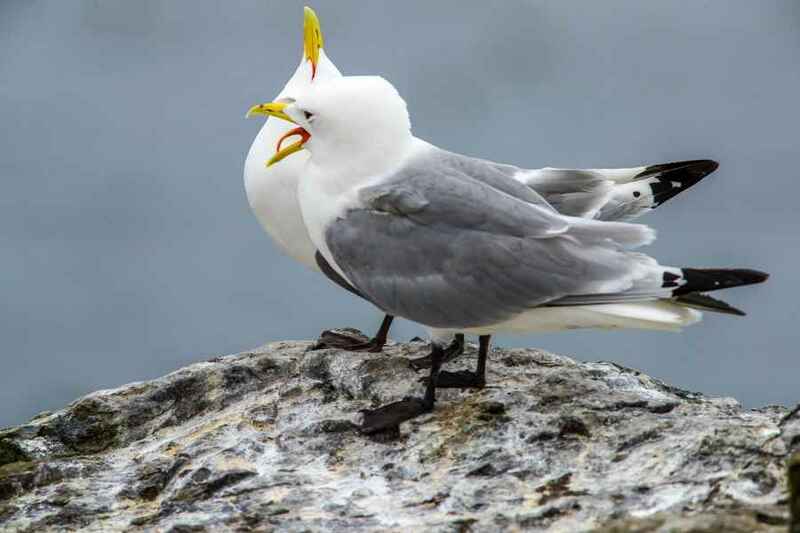 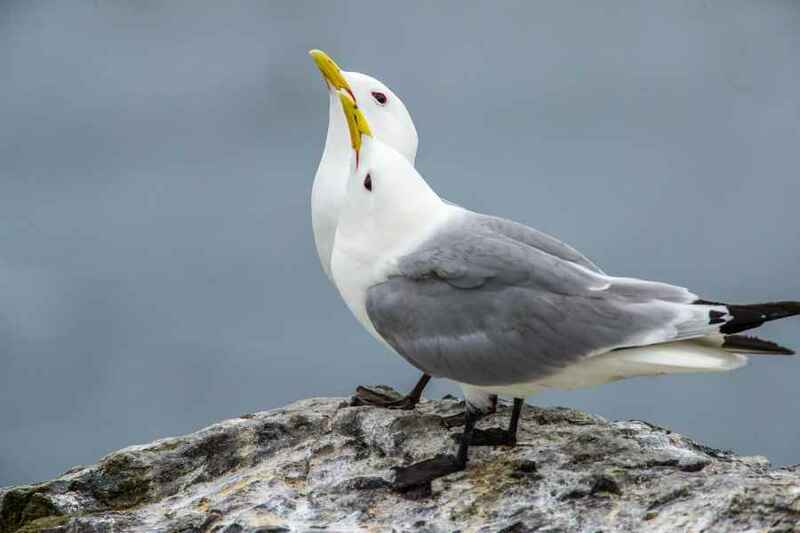 When adult the Kittiwake shows un-windowed black tips to the wings which easily sets it apart from the otherwise similar Little Gull.